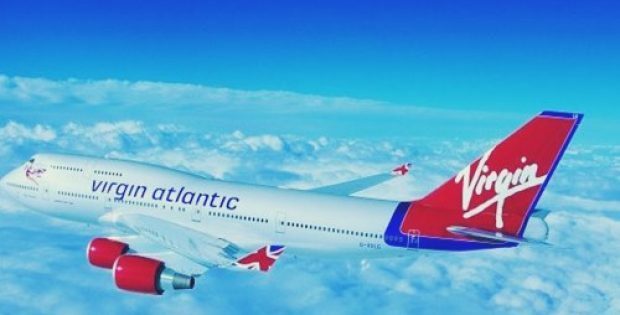 Renowned UK-based international airline, Virgin Atlantic has confirmed the successful voyage of its first commercial flight which was powered using recycled fuel. Reports cite, the recycled fuel was made from waste carbon emissions extracted from a steel mill. The maiden recycled fuel flight, a Virgin Atlantic Boeing 747, had token off from Orlando and landed in London at the Gatwick airport. The flight was apparently marshalled in by Virgin Atlantic founder Sir Richard Branson. Around 5% of the flight’s sustainable fuel blend was recycled as of now but the fuel’s sustainability factor could eventually go up to 50%. The sustainable fuel was developed by LanzaTech – a U.S-based carbon recycling firm. The company also claimed that eventually it could fulfil over 20% of aviation industry’s fuel demands. The Virgin Atlantic and LanzaTech endeavor was reportedly supported by airplane manufacturer Boeing. Moreover, the process through which the sustainable jet fuel was made was developed in collaboration with the U.S. Department of Energy and Pacific Northwest National Lab. Sir Richard Branson stated that long-distance travel is more crucial today than ever before to connect people throughout the world and ensuring that this is done in a sustainable manner is the company’s responsibility. Sir Branson added that with LanzaTech’s help, Virgin will be significantly reducing its carbon footprint, while helping to support the UK industry through its first production scale sustainable fuel production plant currently being planned. CEO of LanzaTech, Jennifer Holmgren said Virgin Atlantic and LanzaTech have demonstrated that recycling carbon waste into jet fuel is not an impossible task. Holmgren also mentioned that carbon waste should be viewed as an opportunity rather than a hindrance. LanzaTech has claimed that it could get three UK plants producing over 125 million gallons of recycled fuel – enough to power all of Virgin’s UK-outbound flights – up and running by 2025.